Make magical bubbles that burst into smoke when popped at the Kansas Children’s Discovery Center on Thursday, March 14 at 10:30, 1:30 and 3:30. The museum is also open for special hours, 9 to 5, for spring break. 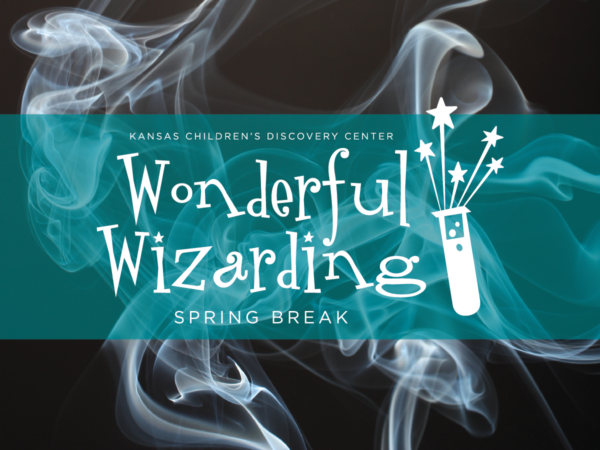 This program is part of Wonderful Wizarding Spring Break at the Kansas Children’s Discovery Center. Join us for extended hours and daily opportunities to explore the magic of science. Each day during Spring Break, make paper wands at the art table, practice Quidditch, play Wizard’s Chess, build your patronus and take your photo at the famous Platform 9 3/4. Conjure up a full list of activities at https://kansasdiscovery.org/springbreak/.